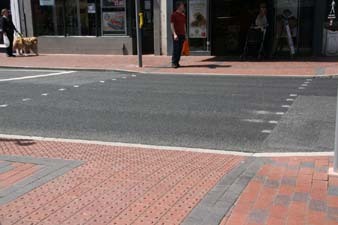 Ketley’s tactile blister paving has been used at puffin crossings and the edge of junctions to demarcate the crossing area, and Ketley’s blue corderoy paving runs along the edge of the footway around the table top so that it is easy to detect the carriageway underfoot, the contrasting colour making this even more prominent. Carleigh Westwell of DHA Planning also contributed, using her expertise in urban design to recommend how to use materials to create a different feel for an area and to demarcate certain parts for particular purposes. 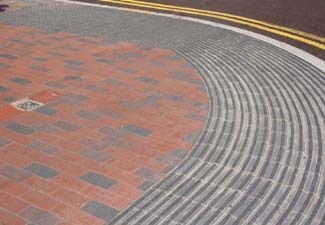 Loading bays, in Staffordshire blue herringbone, stand out from the walkways in their mixed colour running bond. She also advised on a different paver for the Botany area, a space designed for sitting and resting. 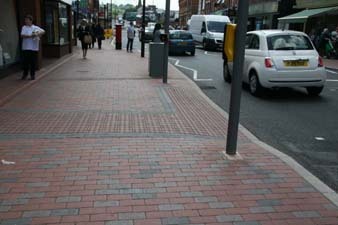 Here, 200mmx200mm red square Ketley pavers create an area that blends in but has a different feel to the rest of the footway. 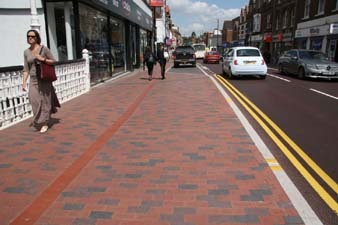 Red drainage channels run through the center of this area and along the footways, matching in with the red paving and providing an aesthetic solution for removing surface water. 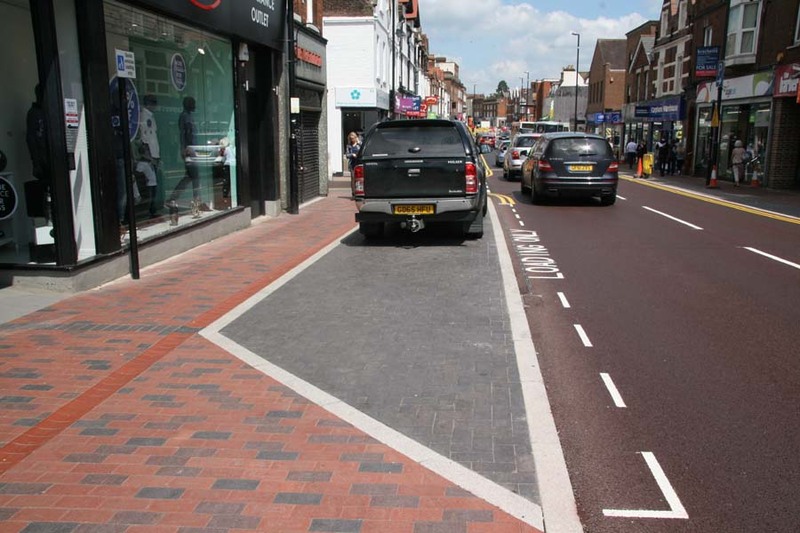 The scheme has been a real success and Ketley pavers have played a significant role by enhancing the historic area, giving a welcoming look and feel to the High Street.